This transformative trio unlocks endless possibilities. 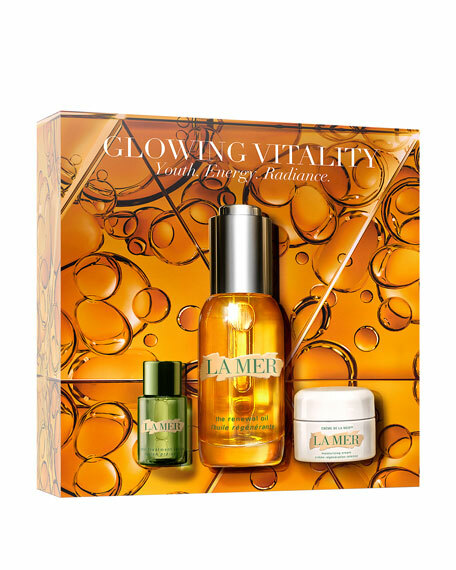 The silky Treatment Lotion hydrates, energizes and optimizes any La Mer regimen that follows. The glow-boosting Renewal Oil delivers deep revitalization and blends perfectly with the ultra-soothing touch of Crème de la Mer. For in-store inquiries, use sku #2133906.